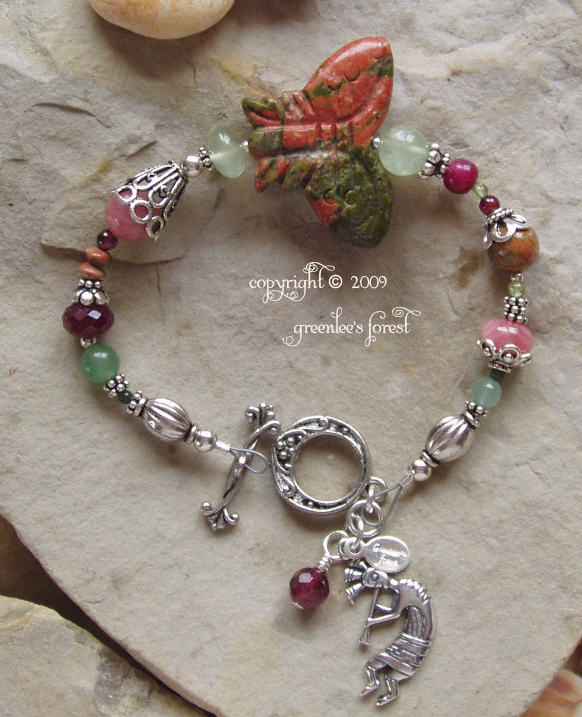 Hand carved Unakite butterfly, Prehnite, Ruby, Garnet, Aventurine, Rhodochrosite, Peridot, tiny Bloodstone, & hand made Balinese sterling silver! 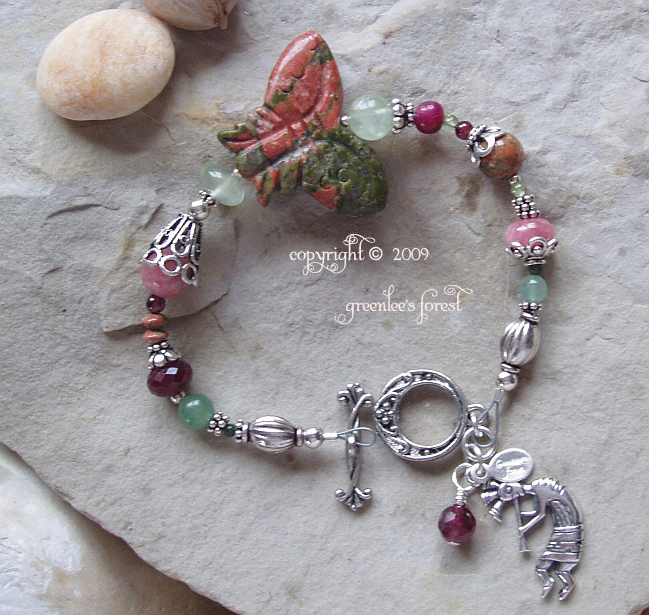 Faceted Pink Tourmaline at clasp, sterling silver Kokopelli, & intricate pewter toggle clasp. 7 3/4 inches long.